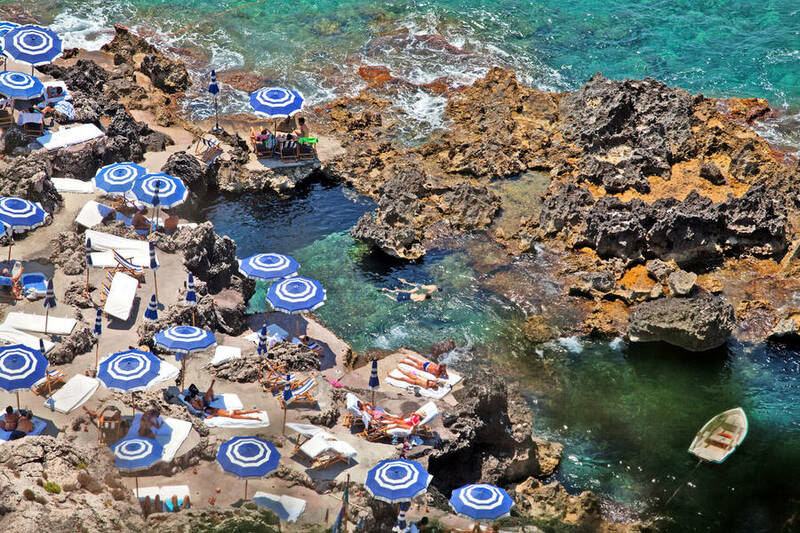 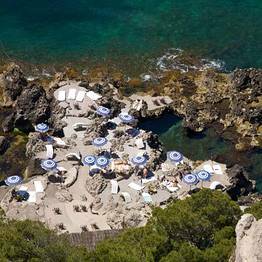 One of the most exclusive beach clubs and restaurants in the whole of Italy, Capri's Fontelina is a magical place; a heavenly hideaway resting at the foot of the island's legendary Faraglioni. 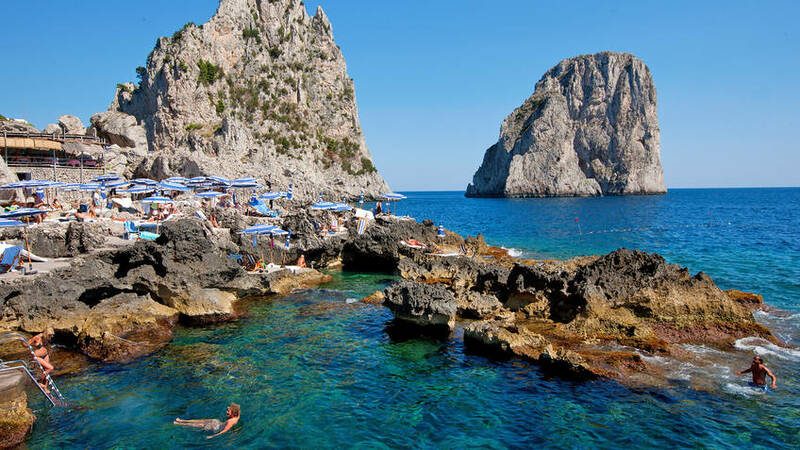 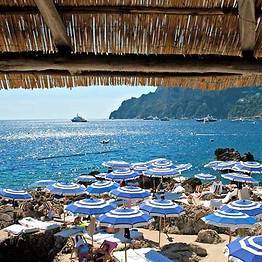 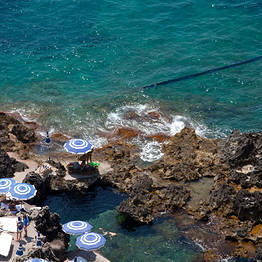 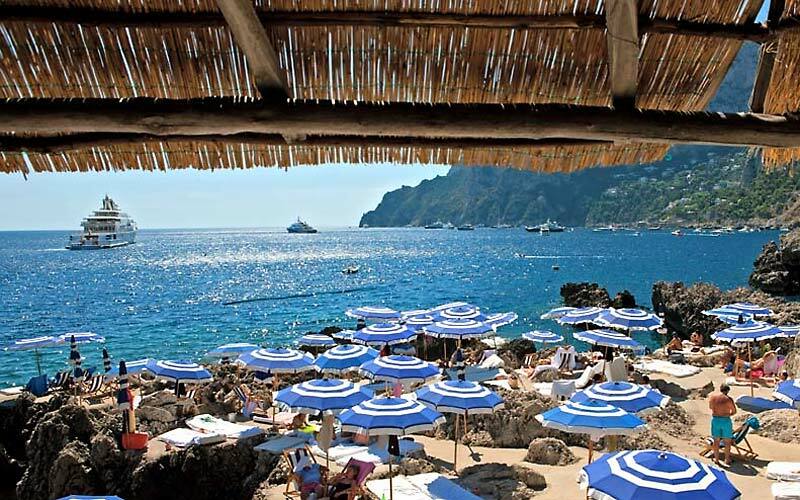 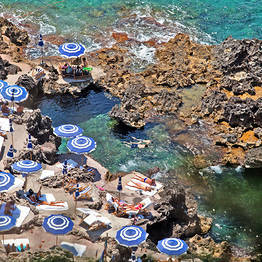 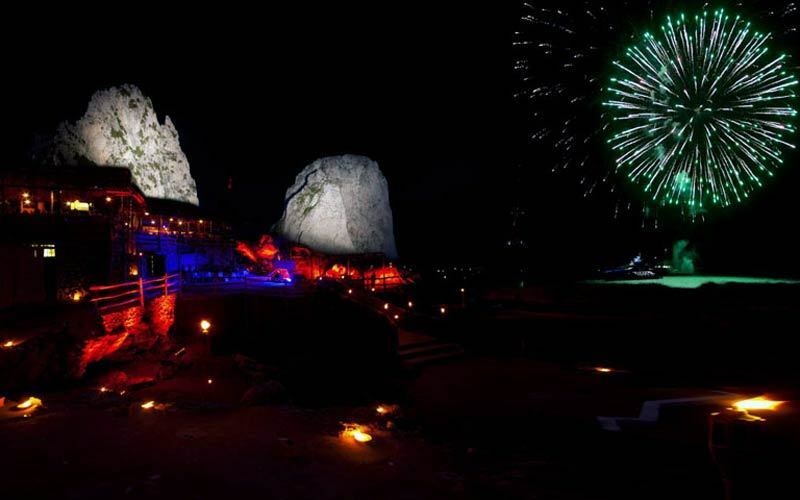 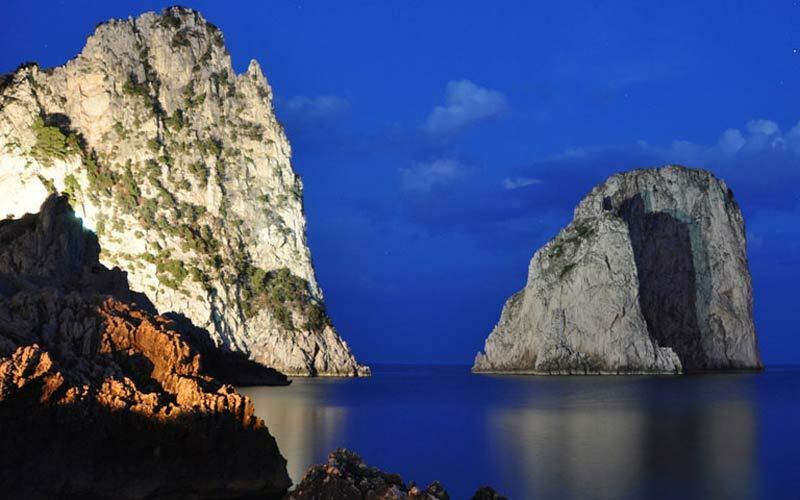 It is also a historical place, where the Roman emperors residing on Capri once came to bathe. 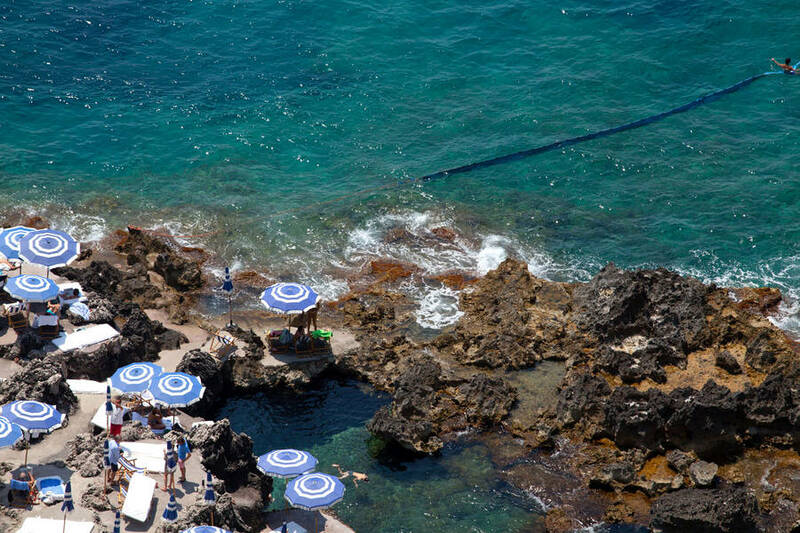 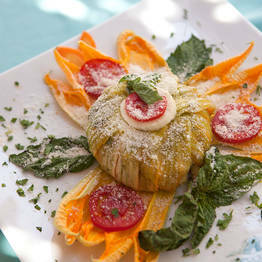 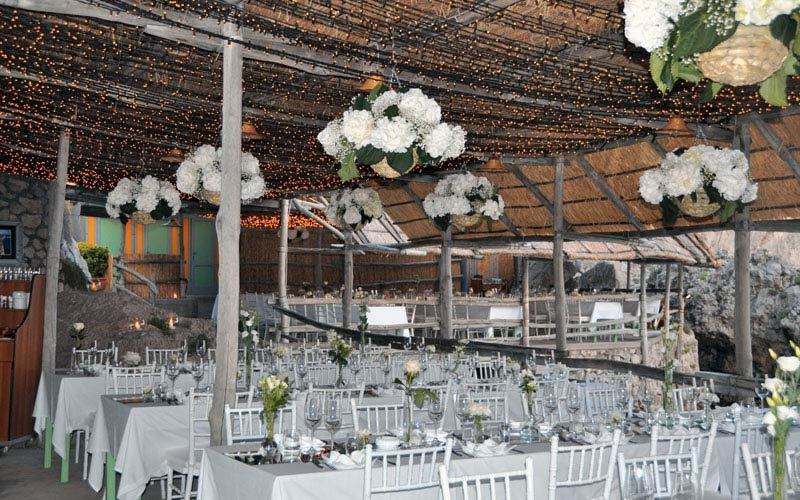 Although more than 50 years have passed since they first opened their small sea-edge eatery, the Arcucci and Gargiulo families continue to run the Fontelina with the very same passion and enthusiasm; serving the same delicious cuisine and offering customers the kind of heartfelt hospitality for which the islanders are known and loved. 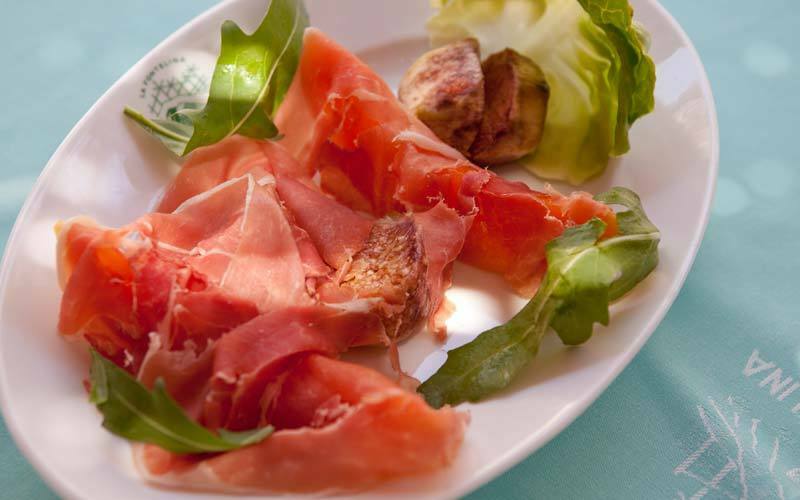 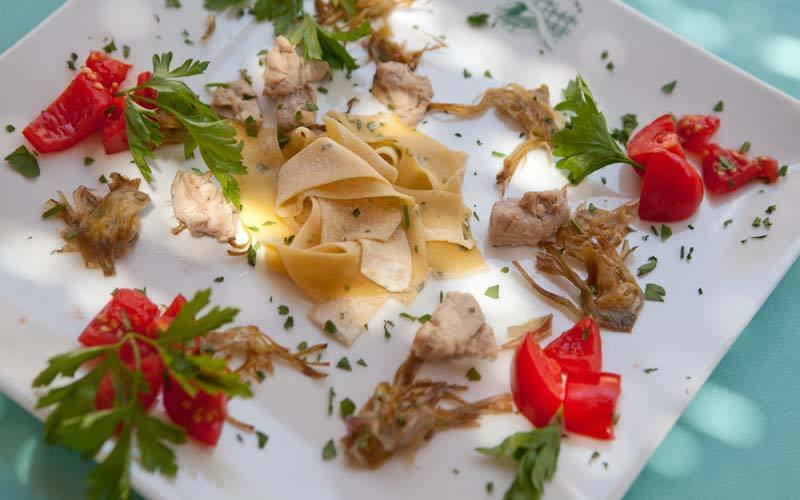 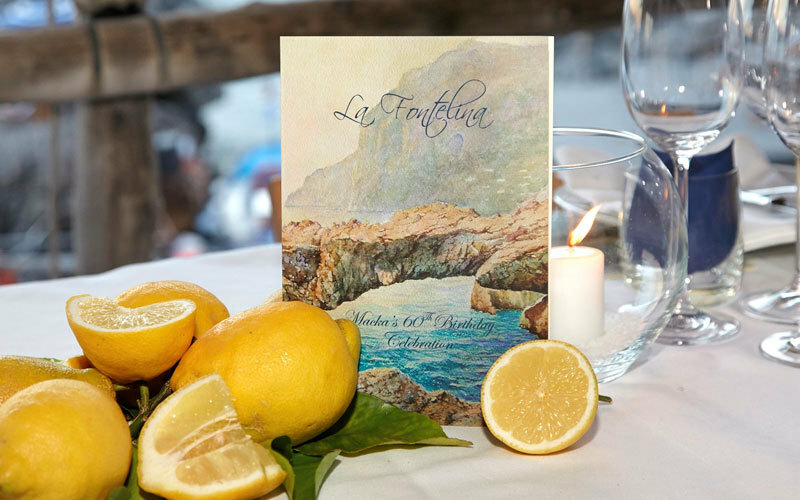 If you're coming to Capri, don't miss the chance to lunch in the shadow of the Faraglioni... book your table at Fontelina as soon as you arrive! 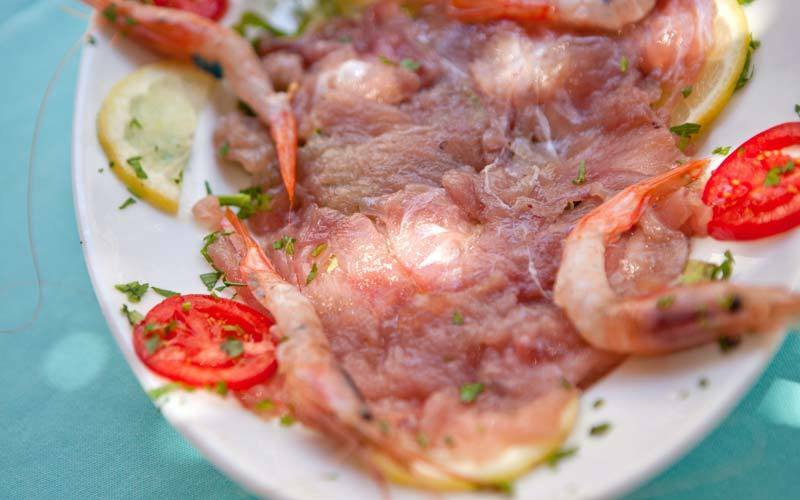 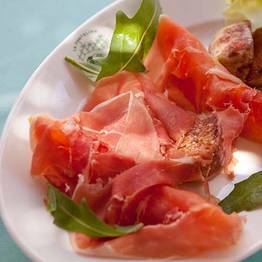 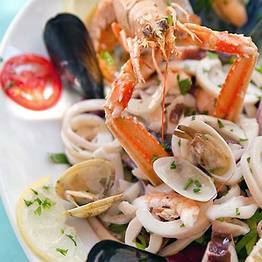 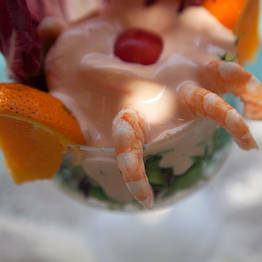 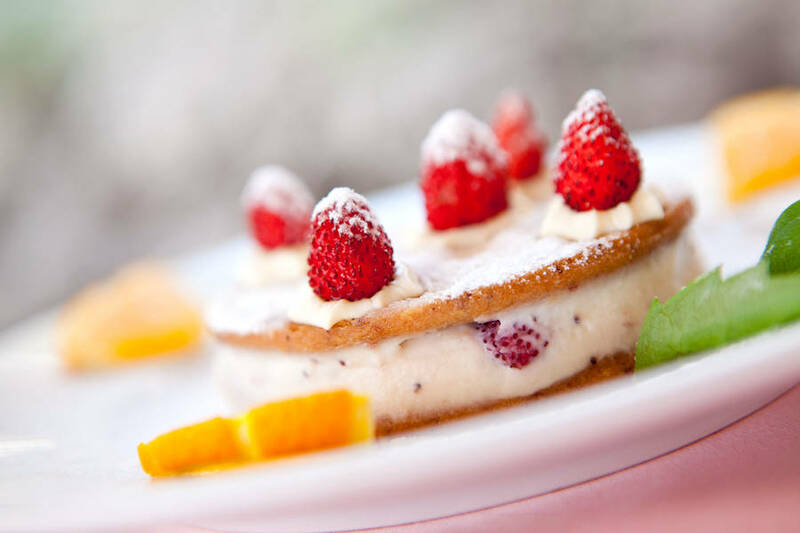 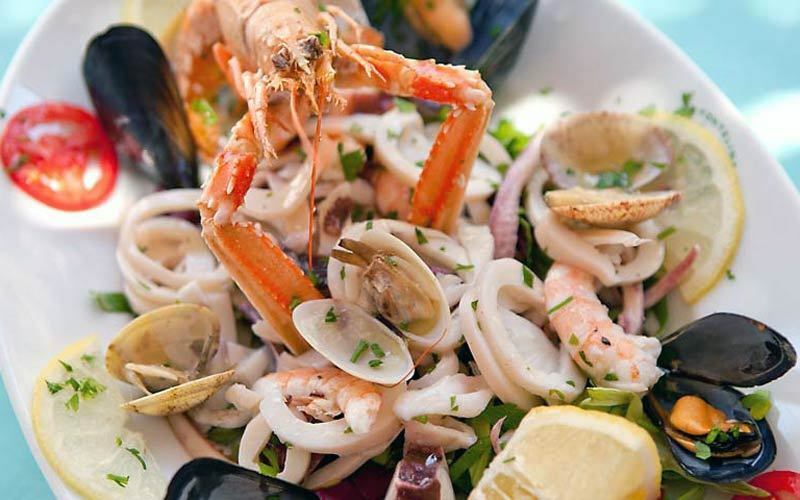 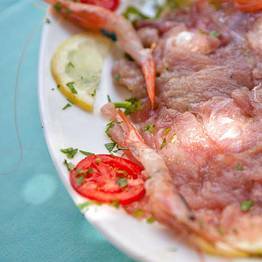 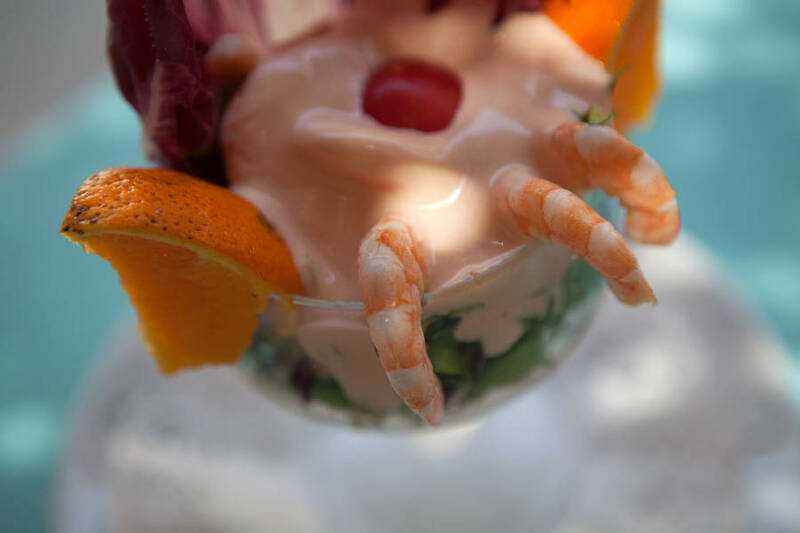 Sat on Fontelina's sea view terrace, you'll be able to enjoy all of the island's favorite dishes, prepared with the freshest of fish and seafood and accompanied by a glass of the restaurant's famous sangria. 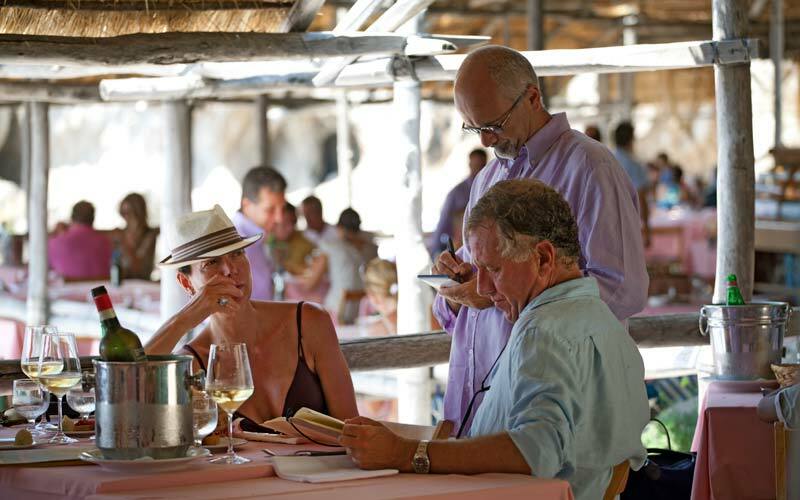 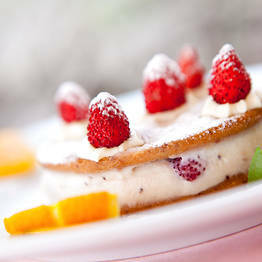 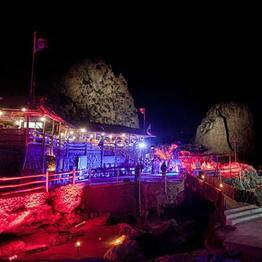 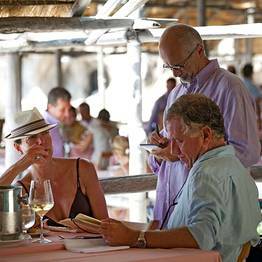 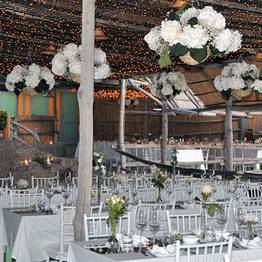 The restaurant is open for lunch and it can be combined with a day by the sea. 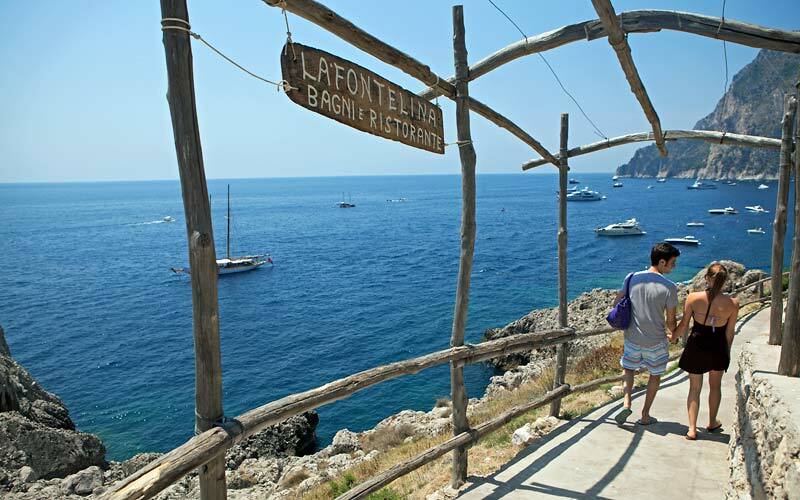 Fontelina's rocky beach is not suitable for young children. 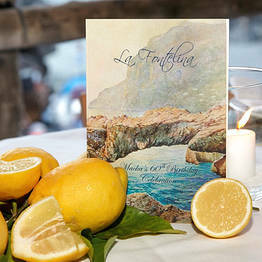 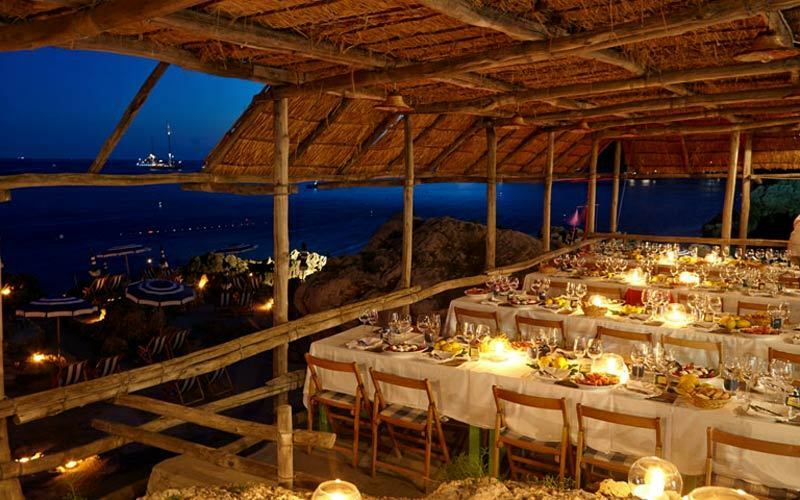 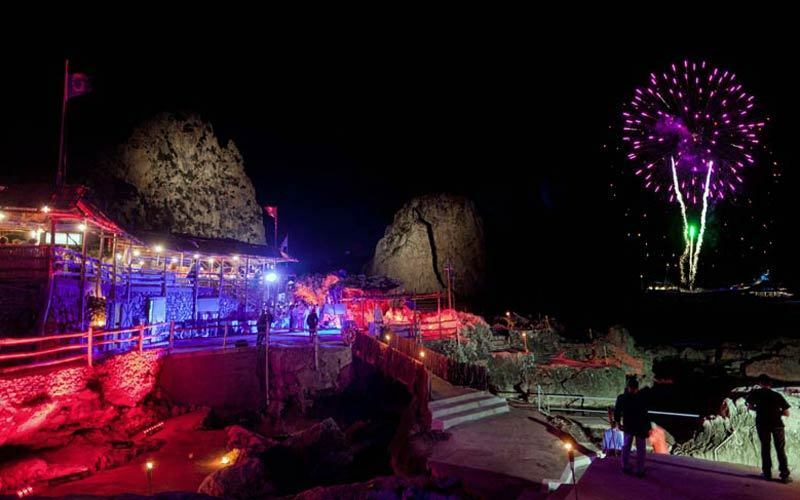 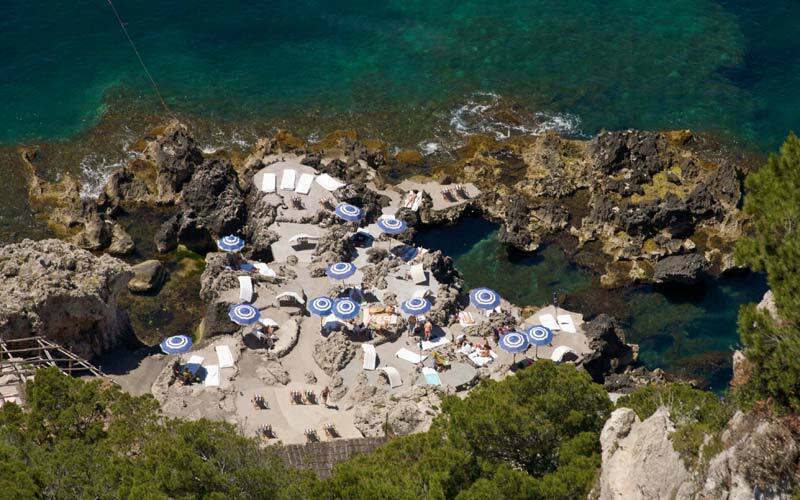 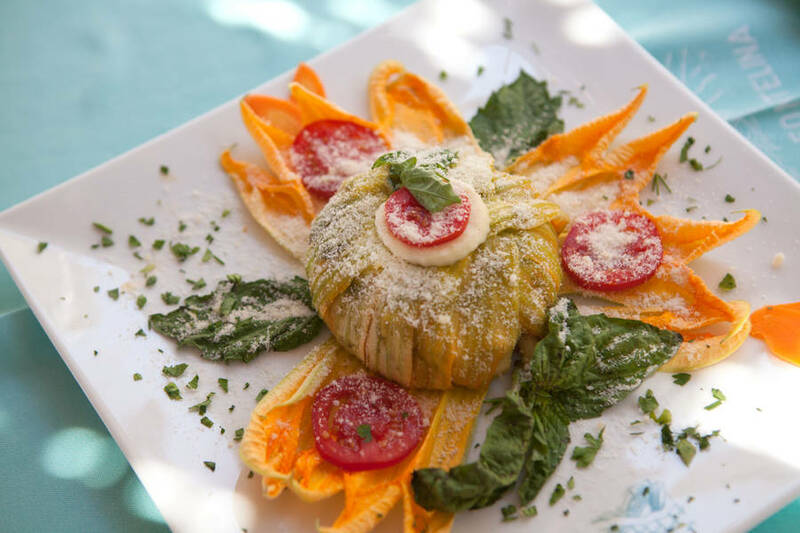 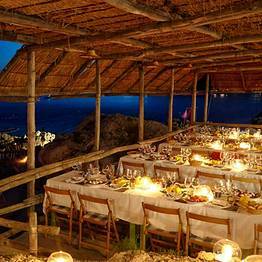 The Fontelina restaurant is located on the tiny beach at the foot of the Faraglioni, in one of the most beautiful corners of the Island of Capri. 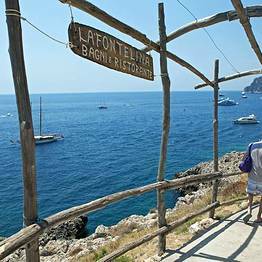 You can reach Fontelina by boat or on foot, using the steep, downhill path which starts just beneath the Punta Tragara viewing point. 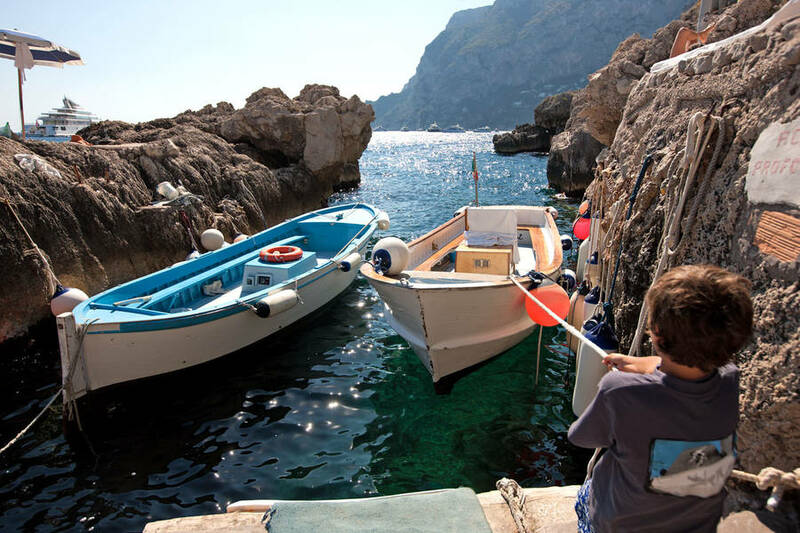 If you don't fancy making the uphill return journey, you can always take the restaurant's shuttle boat service to Marina Piccola instead.